1.3 Cool & Sound/ AIRCO/ C.D./ P.st/ P.W. 2.5 V6 Executive /AWD/ **79928KM**/ YOUNGTIMER/ CLIMATE en CRUISE CONTROL/ TREKHAAK/ TELEF. 2.5 BI TURBO Spyder/ FULL OPTIONS AUTOMAAT **18884 Mijl** IZGST !! 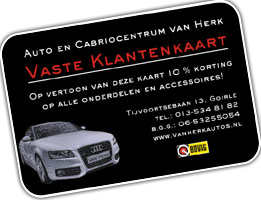 1.4 HDI XT /5 DRS/ AIRCO/ C.V./ RADIO CD/ STUURBEKR.